No one builds a chip without simulation, right? In this week’s Fish Fry, Amelia Dalton of Electronic Engineering Journal takes a closer look at the value of virtual prototypes to simulate embedded software. Simon Davidmann (CEO – Imperas) and Amelia chat about about why Simon thinks no one should design embedded software without simulation, and the benefits of using virtual platforms to develop a verification and test environment. 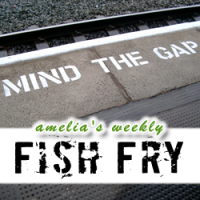 Follow the link to listen to the interview / Fish Fry…. The search is on for a way to balance connectivity, performance and security. Ann Steffora Mutschler of Semiconductor Engineering has written an interesting article on Security in automotive. It’s a changed world under the hood of automobiles today, as vehicles become increasingly connected to infrastructure and each other. But that connectedness also is creating new security risks. Growing complexity is one piece of the problem. There are upwards of 80 electronic control units (ECUs) and more than 100 million lines of code in an average vehicle. On top of that, there are more vehicles communicating. The number of cars on the road containing at least some level of interconnectivity will reach 100 million by 2025, according to Gartner. But even with all of that sophistication, automobiles still operate with a series of non-secure controller area network (CAN) buses that are vulnerable to common software flaws, particularly when that vehicle is also connected to the cloud.